In the current, unpredictable economic environment, businesses are looking for trusted partners to ensure steady growth and compensate the negative factors that affect their development. In this context, we all welcome any initiative meant to help companies choose suppliers or customers with whom they can have profitable business relationships, built on certainty. 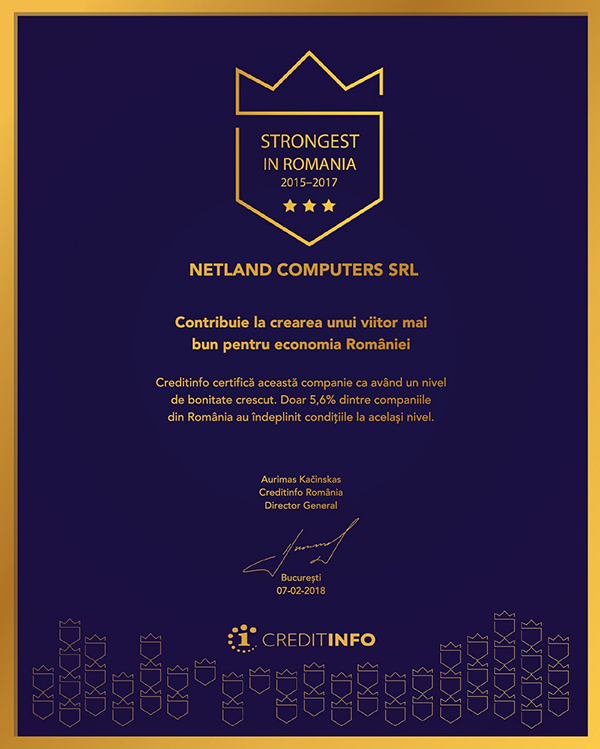 Strongest in Romania is such a certification, made available by CreditInfo Romania, a recognized leader in the provision of commercial risk management products and services. The company is part of Creditinfo Company Group, operating in 28 locations, with a staff of over 400 employees worldwide. The headquarters are in Barcelona. CreditInfo has been active in Romania for more than 13 years. 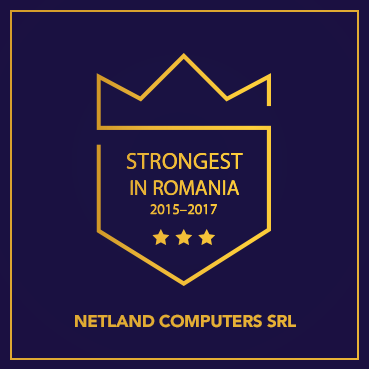 Netland Computers has recently received the Strongest in Romania Gold certification for the past three years (2015-2017), the maximum period for which a company’s solvency confirmation is granted. Applicants are selected after a thorough analysis, based on 20 financial criteria, with the help of information collected from both official sources and own sources. Only 5.6% of the Romanian companies have met the conditions at the same level. Demonstrating stability and the ability to meet our obligations, we also want to help our partners. 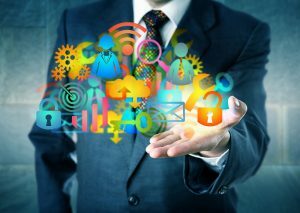 Thus, they have the opportunity to make informed decisions regarding Netland Computers, as well as the certainty of a future trust-based business relationship.